Week ninety eight here already and I delved with a little more enthusiasm into Mary Berry’s Baking Bible and found these two recipes which inspired me. 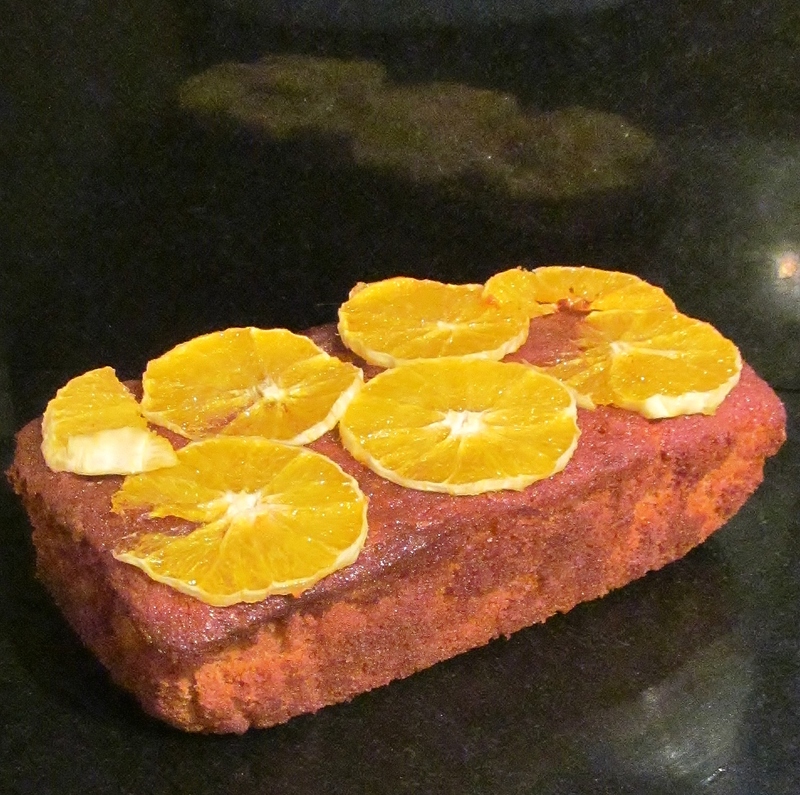 I chose Mary’s carrot & orange loaf and dark indulgent chocolate & walnut brownies. I began with the brownies with a little twist- hubby who doesn’t like walnuts asked if i could either leave out the walnuts or substitute them for pistachios and I chose to substitute the walnuts for pistachios! Mary asks you to melt a huge amount of dark chocolate and butter in a bowl over a pan of hot water. While that is melting, add the other ingredients to a bowl and mix. When the chocolate and butter have melted, pour this into the dry ingredients and mix well. Pour into a lined tray bake tin and bake for about 45 minutes then test with a skewer. When cooked, allow to cool in the tin and then cut into squares. 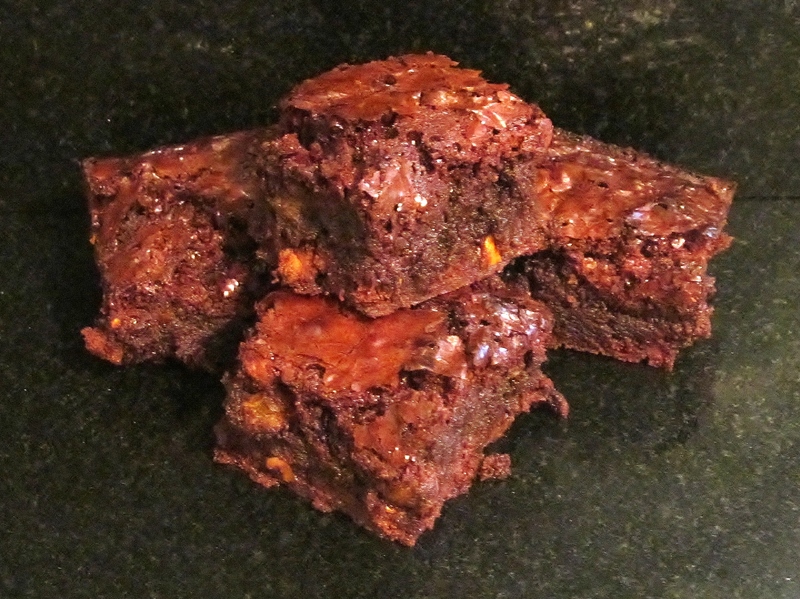 The brownies smelled mouthwateringly delicious and the substituted pistachios were a lovely addition. The second recipe was an all in one recipe and easy to do. The only issue I had was that Mary says to add carrots to this mix but doesn’t actually say grate them but I figured how else would they be added?! I poured the mix into a liner in a loaf tin and into the oven it went for about an hour. After an hour, removed it briefly, decorate the top with thinly sliced oranges and brush liberally with clear honey and return to the oven for the final 15 minutes. Allow to cool then remove from the tin. Mary suggests keeping this loaf in the fridge wrapped in foil and it is lovely with a small amount of butter and a cuppa! I have been missing the great British Bake Off and have been watching the master classes where I can fit them in . With the nights drawing in and the clocks changing this weekend, my evenings of coming home and taking the hairy hoolies for a run in the park will be restricted to the weekends and my exercise of street walking with them steps up a gear! There are some new series that look quite interesting and I have seen an advert for “I’m a Celebrity, Get me out of here” which is something I love to watch each year- I am hoping that I will know at least some of the celebrities unlike Celebrity Big Brother where I didn’t know anyone! If that’s the case, I guess for the first year in a long time, I won’t be tuning in! This entry was posted in Kim's cake challenge and tagged Baking Bible, brownies, Cake, chocolate, Cook, Cooking, Great British Bake-Off, Kim's Cake Challenge, Kims carrot & orange loaf, Kims dark indulgent chocolate brownies, Mary Berry, Mary Berry's Baking Bible, Mary Berry's carrot & orange loaf, Mary Berry's dark indulgent chocolate & walnut brownies by kimsideas. Bookmark the permalink.